For the past 125 years Katz’s Deli (established in 1888) has been providing hungry patrons with huge and delicious pastrami sandwiches. Still as popular as ever (indeed this Lower East Side staple is on the top of almost everyone’s to-do list in New York and quite rightly so), Katz’s Deli is known to draw in the big crowds. So if possible I highly recommend heading to the Deli at an off peak time to avoid the madness. Don’t worry you will still be guaranteed a great sandwich just without the mob of people. 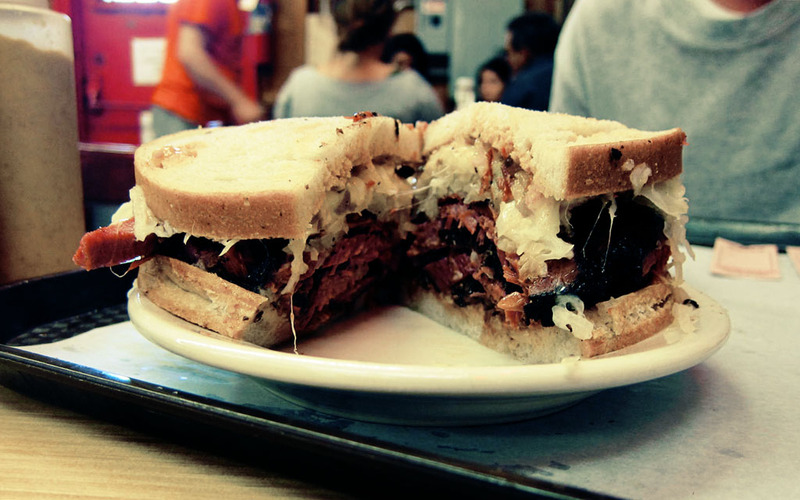 With your ticket stub (which you will be given upon entering – whatever you do, don’t lose it), order from the counter and watch while your cutter, carves then piles on the pastrami between two thick slices of bread. At this point you’re wondering how the hell you’re going to eat such as massive sandwich but trust me you will. 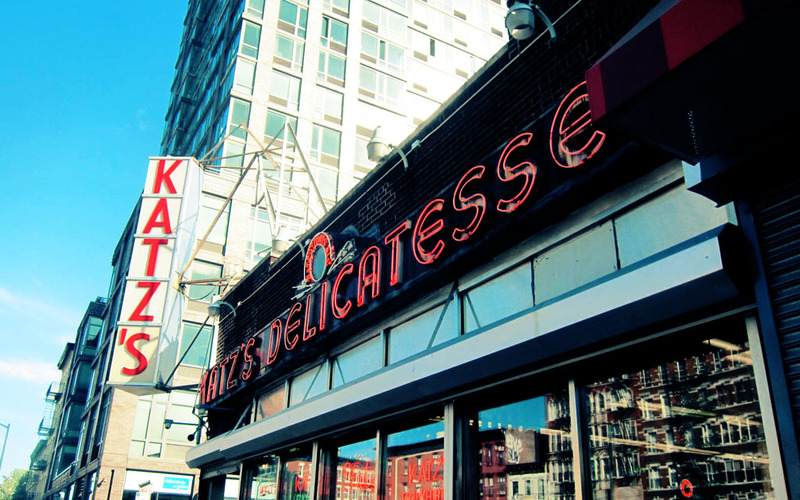 At $17 a sandwich, the Katz’s experience does not come cheaply. You have to remember however that you are paying for a slice of history as well as several slices of mouth watering pastrami. Then as you take your first bite you will instantly appreciate what all the fuss and hype that surrounds this one sandwich is about.